Expanding on the tradition of the Art Studio department’s annual show, this exhibition highlights the dynamic nature of UC Davis’ graduate programs in the arts and humanities. 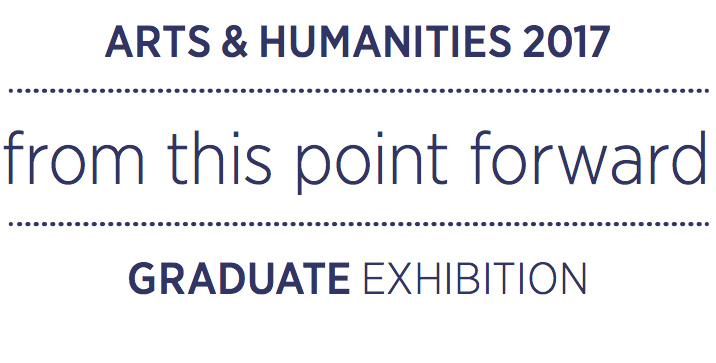 Twenty-eight graduate students from seven departments including Art History, Art Studio, Creative Writing, Design, History, Music, and Theatre and Dance, are featured in this unique multi-disciplinary exhibition. Each student’s work is presented within its own academic context, and takes a place in dialogue across disciplines. Learn about events & programming related to from this point forward. This exhibition will be on view May 27-June 30, 2017.